Thinium uses innovative technology and great design to engineer the thinnest, most portable chargers available for mobile devices. In fact, innovation driven by design is the company’s mantra and is the heart of its mission. Thinium's patent of our unique ultra-slim designs incorporating wall prongs, USB charging cable and our retractable foldable charging dock on power banks makes us the most versatile and innovative portable charging product in technology anywhere in the world. Leading Thinium is CEO Peter Greenberg, who has had several successful companies in consumer products, fashion and media. Chief Technologist Eyal Avramovich has extensive experience in both military and advanced commercial technology developing the most innovative and revolutionary products in portable technology today. Brandon Greenberg is our young tech guru who works in product development, marketing and social media helping strategize, plan, shoot, execute our go to market strategies and marketing initiatives. Inspiration and funding has been with Jeffery Rudes, fashion icon and founder of JBrand Jeans and now Jeffery Rudes clothing. 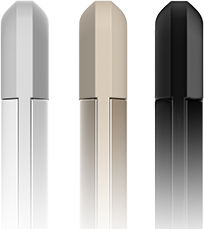 Together this creative team of innovators saw an opportunity to develop beautiful designed products using superior technology to launch the first ultra-thin, compact designs in portable chargers. In 2014, Thinium introduced its first product line, which includes the Thinium Charge, the Thinium ReCharge, and the Thinium Connex. All of the company’s products are designed to be uniquely neat, compact, and stylish so that people will never be caught without a charging solution again. The Thinium Charge and Thinium ReCharge both earned multiple International CES 2014 Innovations Design and Engineering Honoree Awards, in addition to the Charge receiving an Editor's Choice Award from Popular Mechanics and a Best in Show Finalist Award from iLounge. Thinium teamed up with Shark Tank celebrity investor and entrepreneur Lori Greiner who is also know as the Queen of QVC. Together their initial launch in late 2015 on QVC generated over $225,000 in just 8 minutes of airtime on QVC and sold out with back orders. Our second show did over 70% in sales in March and we will be airing again on QVC with Lori Greiner on April 15th 2016. Lori will be working with the Thinium team soon to bring our innovative products to mass retailers all over the country in 2016. Thinium is also working with a national distribution company to further enhance our retail and on-line presence. Thinium is a privately held company based in Los Angeles, CA.